Bake in preheated oven for 20 minutes. Raise heat to broil at 450°F. Broil until chicken is browned in places (take care not to burn), about 10 minutes. Baste with some of the pan juices, turn and broil until other side is browned, about 10 more minutes. 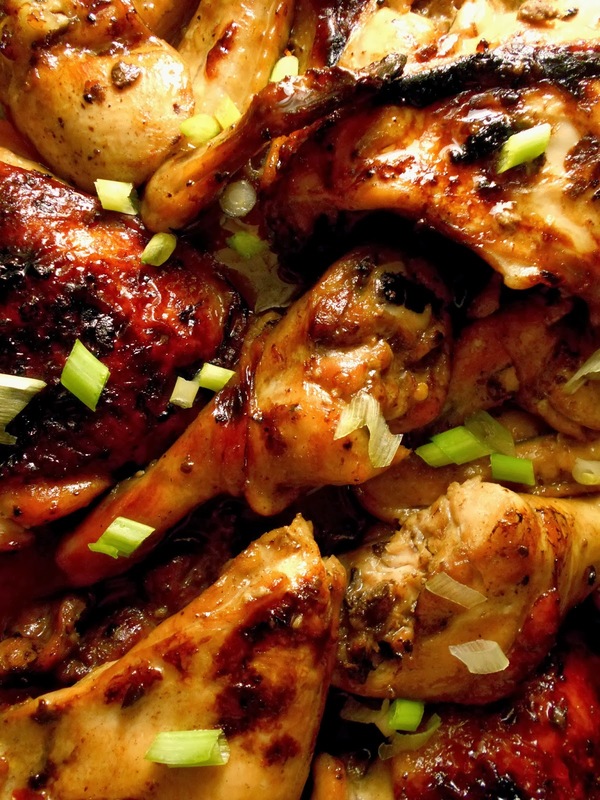 Reduce heat to 325°F and bake until chicken is cooked through, about 20 minutes more, basting at least once more. Remove chicken to platter. De-fat pan juices and check seasonings, adding more salt, sauces or honey as needed. Pour over chicken. Garnish with chopped green onions if desired and serve immediately.